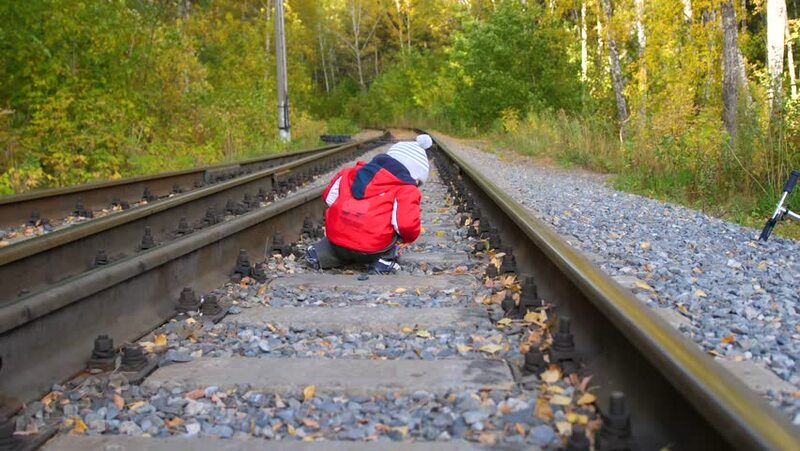 Lonely boy playing on the railroad tracks. Dangerous games and entertainment. Autumn warm day. 4k00:10Fun on the bobsleigh track. Father and son enjoy bobsled rides.